There’s a terrifying wisdom to the idea forwarded by the Hero’s Journey that you can never come home. Once you leave the place you are from for a long time, for a journey, or to grow up, there’s no going back. The place you left will change. Your travels will change you. And when you return, both you and that place will be different. While I wouldn’t say that I am on some kind of mythical quest, in my own return I am finding a sadness, confusion, and probably more than anything a feeling of losing a sense of myself, while also gaining some insight and what may become some really good writing material. Hey all, here’s a video (first half) of my talk at the First Philippine Reader Conference. I talked about the crumbling line between writers and readers as we go from content producers and content consumers to prosumers, people who both consume and create content. I hope it’s an interesting talk 🙂 give it a try. In LA, Five Days, TEN POUNDS! I flew into LA a few days ago so that I could make it to the Phil-Am Expo. The event wasn’t exactly what I was expecting, but I did manage to sell out all the books I brought. Hoping to wrangle some traction here and get Pinoys to buy digital versions. It’s tough, since the people there weren’t really very interested in culture that much, but hey I’m pretty sure there’s a way. Managed to chat someone up in a Barnes & Noble and convince them to buy a copy of And the Geek Shall Inherit the Earth, so there’s that. In a few days I’m headed upstate to San Francisco, to fulfill my main objective here, which is to make an appearance at the FilBookFest and get people to buy UP Press books, and hopefully to make some good contacts and move towards establishing international distribution channels (or at least international marketing and promotions channels). Again, I’m being really optimistic about this, I do hope that I manage to conjure up some attention for the UP Press. So readers, if you’re in San Francisco, please drop by, pick up some of the great UP titles. On a personal note, I’ve not been doing much here but buying stuff that I can’t get in the Philippines (oh, hello Nook Color, and a Batman hoodie with ears. Ears!) and eating. My family has been showing me around, taking me places because I told them that I had started cooking and was really interested in the food here. I had loaded up a list of fine dining places I’d read about. Haven’t hit those, but rather going the local route and eating at the places that people here generally love to eat. I have to say, the portions man, the portions. One serving here is probably the equivalent of three servings in the Philippines. It’s crazy. There’s just so much food that gets put on the table. It’s no good comparing and converting, but just consider that what shows up on one Denny’s Plate would probably be enough to feed a family. Best example, I went to a Jack in the Box with my bro for lunch. They asked if I wanted small, medium, or large fries and drink. I was going to say large, because that’s what I usually get at McDonald’s or BK in the Philippines. My bro says, get the small. I have my doubts but I do it anyway. And the small here is pretty much giant-sized in comparison. I haven’t hit that many points of interest. Saw the Jollibee that was in the background of that first season Glee episode. And walked around Downtown LA, saw the convention center, Staples, and the Nokia theater. Have to say, Downtown LA is a beautiful place. Also hit up Pasadena, but was with my mom and grandma, so couldn’t really do much except eat. I want to go somewhere and just chill, but LA being a driving city, it’s hard to coordinate schedules and the like. I only got a phone yesterday and am conserving the load so it’ll last til I leave. Worrying though is my sudden weight gain. In only five days I’ve put on ten pounds. TEN POUNDS! How long does it take to lose ten pounds? Man, I was overweight already, but I gotta start watching myself or I’ll suddenly go Supersize. Alright, signing off now. Heading to Frank & Son which is a collectibles fair, tomorrow, for some geeky stuff. yeah! I’ve got quite a bit of backlog. Two movie reviews should be up on this blog within the week, I’m hammering out an essay I owe TJ Dimacali of gmanews.tv. 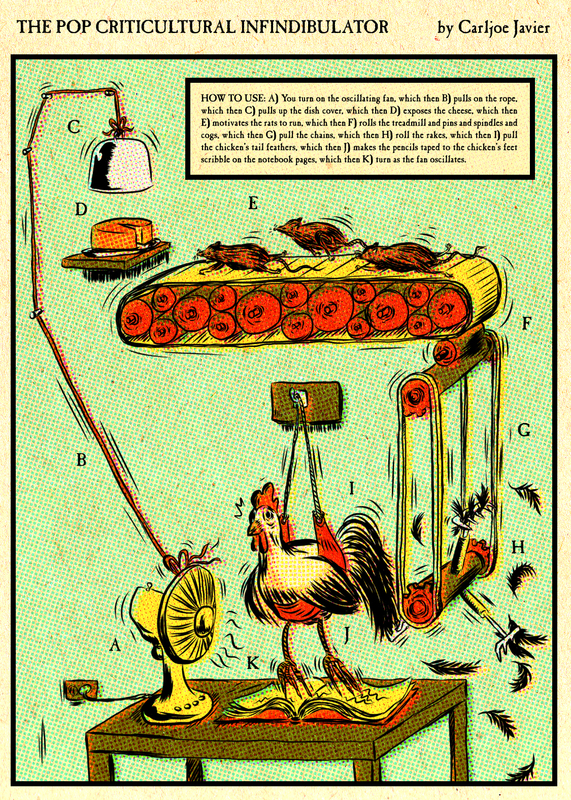 And as part of my work in the real world, I’m trying to conjure up sales for the UP Press’s ebooks. It’s generally uncharted territory and here I am, diving in without caution and dragging them in with me. This is a pretty substantial challenge. Despite Amazon figures showing digital outselling print, the local publishing industry is still extremely conservative about it and wants to hold onto their cards and wait for someone else to play. My own view, unconservative, maverick,and some might think crazy, is that we should jump at every opportunity to be read, and releasing books in the digital formats is the surest way to worldwide distribution. Ok, so enough of my attempts at digital evangelization. I do enough of that in my day job. And I will be doing a fair amount of it on the UP Press blog and during my upcoming trip. 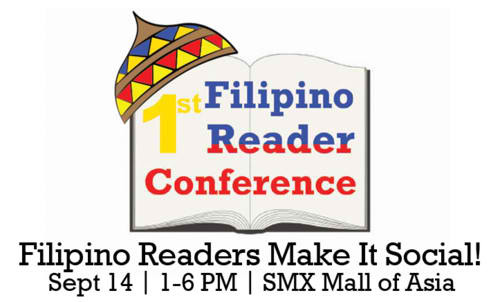 Right so, I will be at the First Filipino Reader Conference on September 14 talking about the implications of social media and book clubs on reading, authors, and publishing. Whew, that was a mouthful eh? I feel very honored to kick off the proceedings with the Keynote speech and I do hope that what I say makes a substantial contribution to discourse and helps to build bridges between “literary” writers and readers (but as I mention in my speech, we’re all readers). I’ll post the full text here later this week, but if you really want to read it now, you can read it in The Pop Criticultural Infindibulator, which will be available now and for as long as I can maintain that Scribd account. The ReaderCon will be held at the Manila International Book Festival on SMX. Please drop by because it’ll only cost you P50 to attend (and eat!). 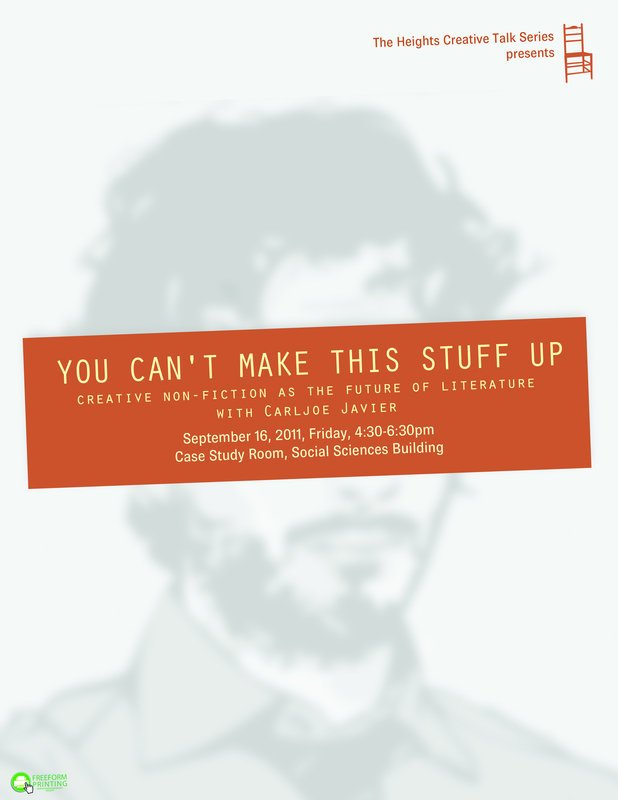 Then on Friday September 16 I’ve been invited by Ateneo Heights, as part of the Heights Creative Talk Series, to discuss Creative Nonfiction, with the daunting claim that CNF is the future of literature (and which I will attempt to subvert and say that it is also literature’s past haha. whatever, because I’m subversive like that; but really I haven’t written my talk for that yet, but I have to fill up an hour and they’ve sent me some questions, so after this post I will start writing that). And if you’re interested in picking up a copy of Geek Tragedies, these will be available at both events. I’m giving away my new book, a collection of essays on pop culture, The Pop Criticultural Infindibulator as part of my big three-oh birthday celebrations. You can get it in PDF and word through scribd here and in PDF or epub through Dropbox here or here. I’m releasing this to celebrate my turning 30. I’ve been freaking out about turning 30, so this is my reaction. I want to see what happens when you give your book away. If you like this book, please pass it to a friend, and if you really like it, then maybe buy a copy of my other books. If you teach, you’re free to use these essays in your class, and if you’re so inclined, you can invite me and I would be totally willing to talk in your classes. If you’re writing a paper, please feel free to use it, cite it, etc. Please feel free to share it as you will and thanks for reading and promoting Philippine literature.